It wouldn't be a Denver Flea without a selection of great local brews to have in hand while you shop, which is why is we're stoked to have Great Divide Brewing Company as our beer sponsor. In addition to pouring at the Summer Flea, they have two great spots to check out in Mile High - the original Denver brewery and tap room, located in the LoDo area, and The Barrel Bar in RiNo, which is home to a state-of-the-art packaging facility, canning line, barrel aged and sour beer storage, and intimate taproom. The Barrel Bar features a full line-up of Great Divide beers, including many seasonal, Barrel Aged, and limited release offerings. This year, Summer Flea attendees will get a firsthand look at Great Divide's newest Denver Pale Ale Artist Series No. 3 can. 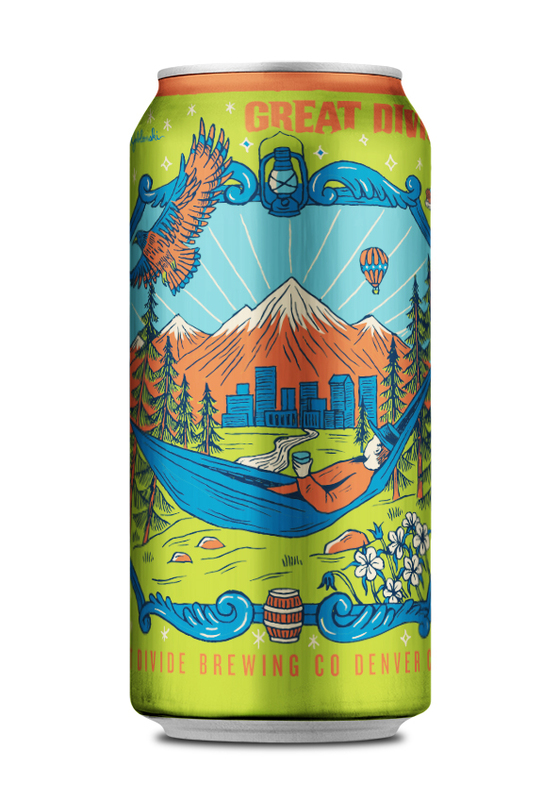 Every summer, the brewery releases a new Denver Pale Ale can with artwork designed by a different, local artist. This year’s can features the work of Rachel Jablonski. She used her unique perspective on what the city of Denver means to her to create the bright and colorful artwork adorning the new can. Rachel will be at the Summer Flea beer garden on Sunday so attendees can meet the artist! what was your inspiration for starting great divide? During the late 80s, Great Divide founder, Brian Dunn, spent 5 years overseas building farms in developing countries. Having grown up in a family that valued good food and drink, Dunn grew his knowledge and passion for beer during his travels. Dunn eventually returned to Colorado, started homebrewing and went to graduate school. Upon graduation in 1993, when the Denver beer scene barely existed, he set out to found what would eventually become one of America’s most decorated and celebrated craft breweries. We’ve been brewing—and still do—Hibernation Ale since 1994, before most of Denver was old enough to drink. Up until 2015 all Great Divide operations were confined to our original Arapahoe brewery. In June of 2015 we opened a massive new production facility about a mile down the road to can and keg our beer. All brewing still occurs at Arapahoe, but we now use a tanker truck to transport beer to the new facility to get canned and kegged. Great Divide was the first brewery to package beer in Denver. Over the years that packaging has changed with a lot of our beers making the transition from bottles to cans. We’ve also expanded our offerings, shuffled up our lineup and gotten more use out of our pilot system which cranks out unique and inventive beers. So we can drink good beer whenever we want. what's your favorite product or collection yo've created? Yeti Imperial Stout is a crowd favorite and has garnered a cult following of believers. We celebrate Yeti Awareness Week every November and do what we can to keep the Yeti population thriving. We offer seasonal varieties of Yeti (Chai, Chocolate, Vanilla) and a Barrel Aged version. The smell of Roadie Grapefruit Radler in the morning. Doing what we love in a place we love. While we have expanded far beyond our Colorado borders, we continue to focus on servicing our local audience and community. We also get the opportunity to partner with many great organizations and events, providing beer and supporting causes near and dear to us. 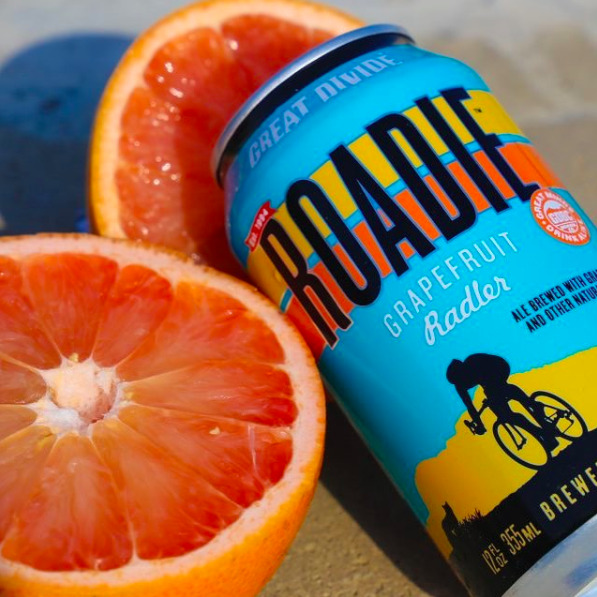 We can't wait to check out the new design of the DPA cans IRL and also sip on our summer fave, Roadie Grapefruit Radler.